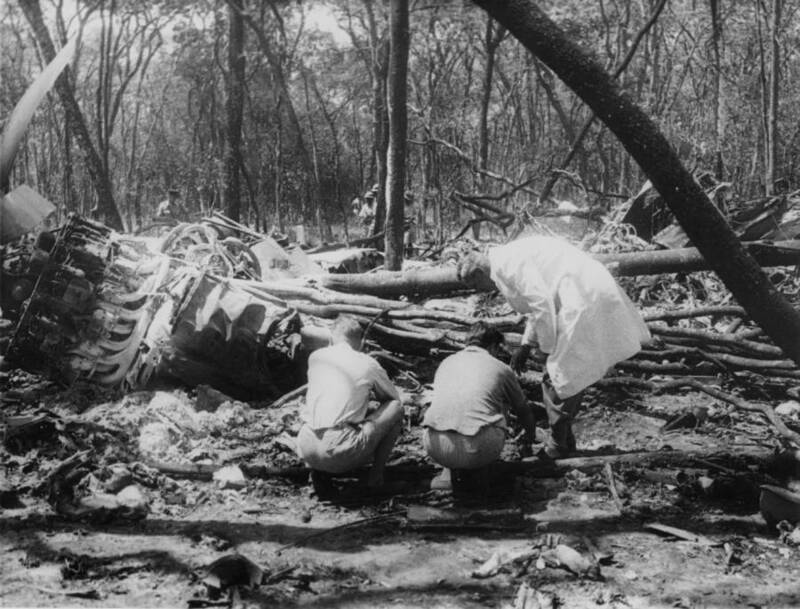 Officials search the crash site after the plane carrying Dag Hammarskjöld came down in September 1961. The Secretary-General had a hands-on approach in his position that often worked to his advantage. For instance, in 1955, he had personally orchestrated negotiations regarding 15 Americans imprisoned in China to the result that every single one of them was released. 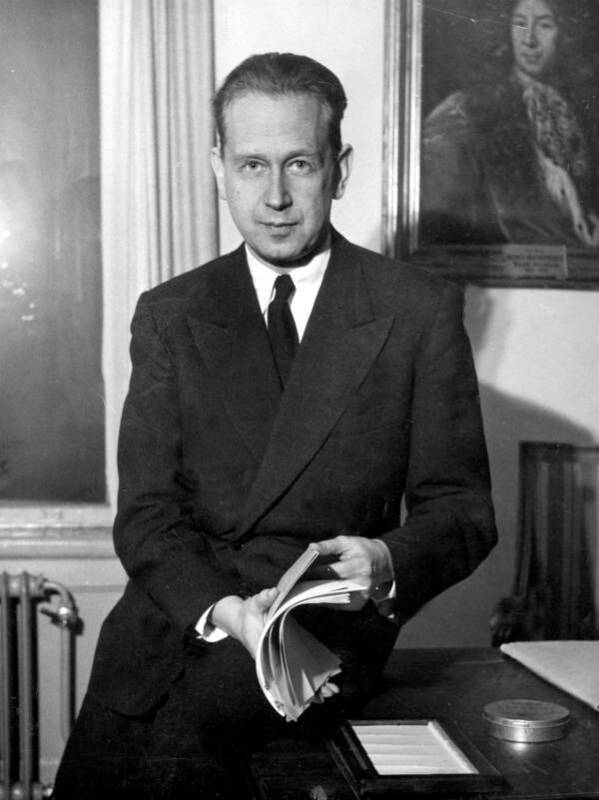 Dag Hammarskjöld hoped to ease the tensions in the Congo by talking to the head of the country’s secession movement, Moise Tshombe, directly in person. Meanwhile, the Secretary-General from Sweden was far from universally beloved. His intervention in the Congo crisis had perhaps unwittingly turned the civil conflict in the country into an international one and brought the Cold War into Africa. The withdrawal of European powers from their former colonies was a complicated affair in the post-World War II era. Belgium, Britain, and the United States had supported the secession of Katanga because they did not want to see the mineral-rich region in the control of a Soviet-supported government. Hammarskjöld took the side of the Congolese government and launched a U.N. peacekeeping mission in 1960. This would ultimately come to an end but a year later as the Secretary-General’s plane crashed inexplicably out of the sky. Hammerskjold outside of the U.N. building. More than half a century later, the UN continues to investigate what happened that September night to Dag Hammarskjöld’s plane. There has been such a preponderance of suspicious elements surrounding the crash that it has become the subject of several books and even an upcoming documentary, Cold Case Hammarskjöld, which claims now to be able to finally put the mysterious death to rest. Two official investigations and a U.N. inquiry had initially produced no cause for the crash itself, but investigators “concluded that foul play could not be ruled out.” Indeed, the sole survivor of the crash had claimed that there had been some sort of explosion just before the plane went down. His testimony was dismissed because he was “ill and sedated” at the time and he died of his wounds only a few days later. However, 12 witnesses that one investigator tracked down in the 1970s also maintained that there was a bright flash in the sky shortly before the plane came down. Over the ensuing decades, multiple other witnesses emerged who told of a plan to assassinate Dag Hammarskjöld. In 2005, one U.N. official claimed that when he had examined the Secretary General’s body in the morgue, there was a suspicious wound that could have been a bullet hole in his head. The wound is not visible in any of the post-mortem photographs, although there is evidence that some of these photos were airbrushed or deliberately angled to hide the supposed bullet hole. Then, in 2014, a 1961 cable from the US ambassador to the Congo, Ed Gullion, was declassified and seemed to offer even further evidence of a planned assassination. The cable names a Belgian mercenary pilot, Jan van Risseghem, whom Gullion suspected in having a hand in the incident. Jan Van Rissegham had long been considered a suspect in Hammarskjold’s death and new evidence seems to confirm his involvement. 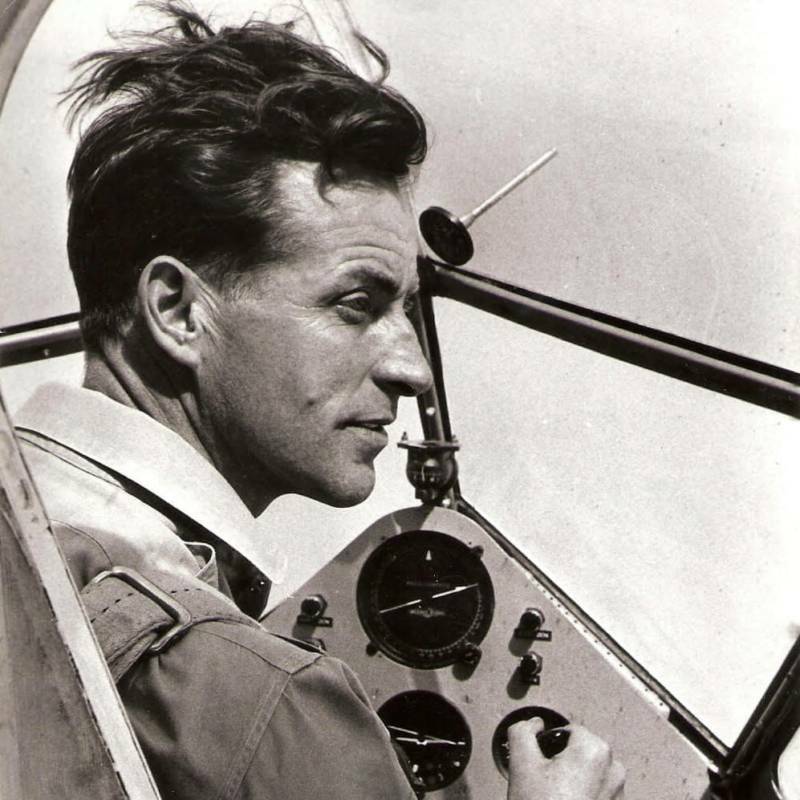 Van Risseghem, who had flown with the RAF after escaping his native Belgium during World War II, had been flying missions as a mercenary for the Katanga secessionists by 1961. He maintained a strong connection to Britain though with a British mother and wife. Although detailed flight logs showing Van Risseghem was not in the area offered the pilot a seemingly solid alibi, but recent research shows that many of the entries may have been forged. Van Rissegehem himself had officially denied any involvement and dismissed the accusations as “fairy stories.” After his death in 2007, his remaining family continued to push his innocence. His wife, for instance, reported that he was in Rhodesia purchasing a plane for Congolese rebels at the time of the crash. The logbooks show this, but enough reasonable doubt as to their authenticity calls this alibi into question. The documentary makers also tracked down a friend of Van Risseghem, Pierre Coppens, who claimed that the pilot had confessed to shooting down Hammarskjöld’s plane. The two met in 1965 while parachute training in Belgium and it was there that the pilot explained how he took down the plane all the while unaware that Dag Hammarskjöld was inside.